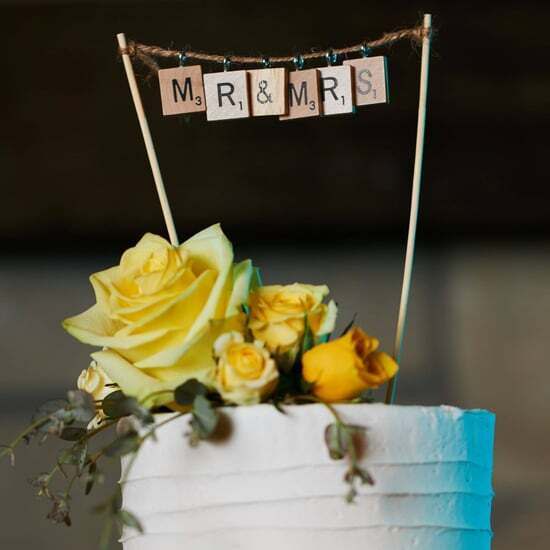 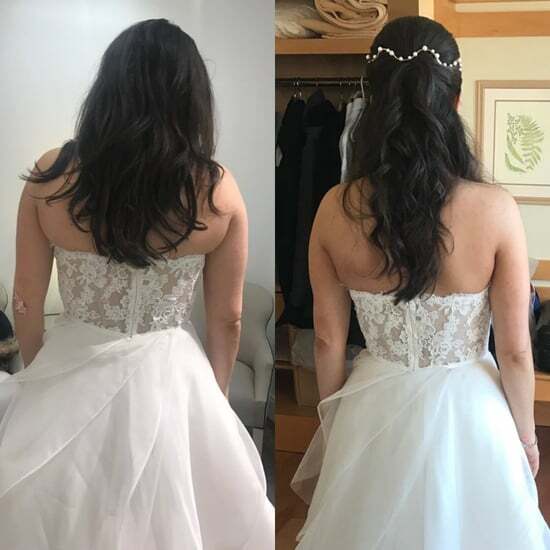 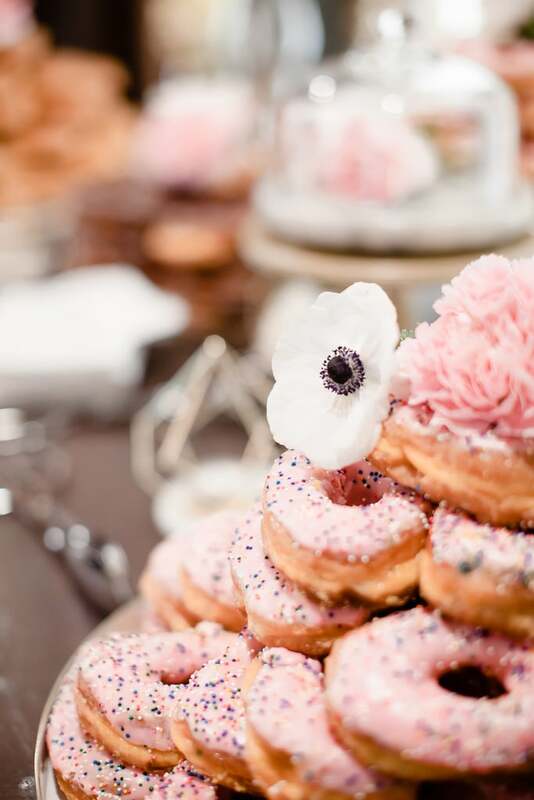 When thinking about wedding desserts, the most obvious ones that come to mind are cake and cupcakes. 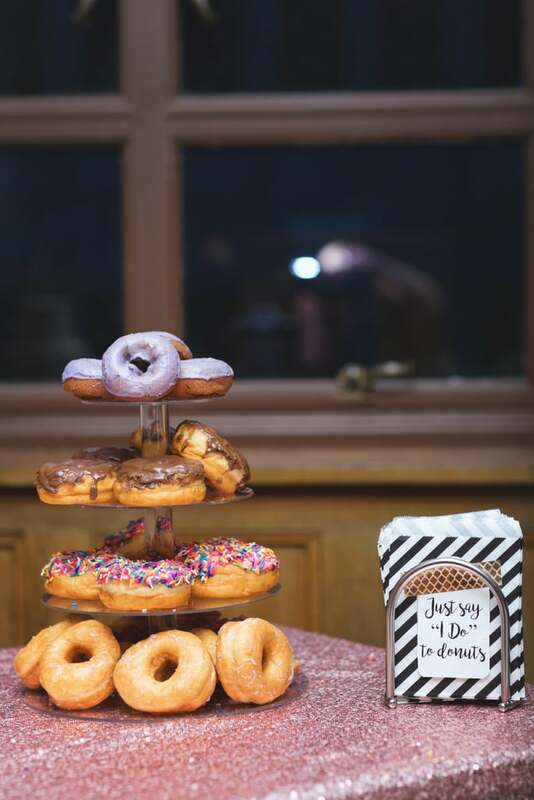 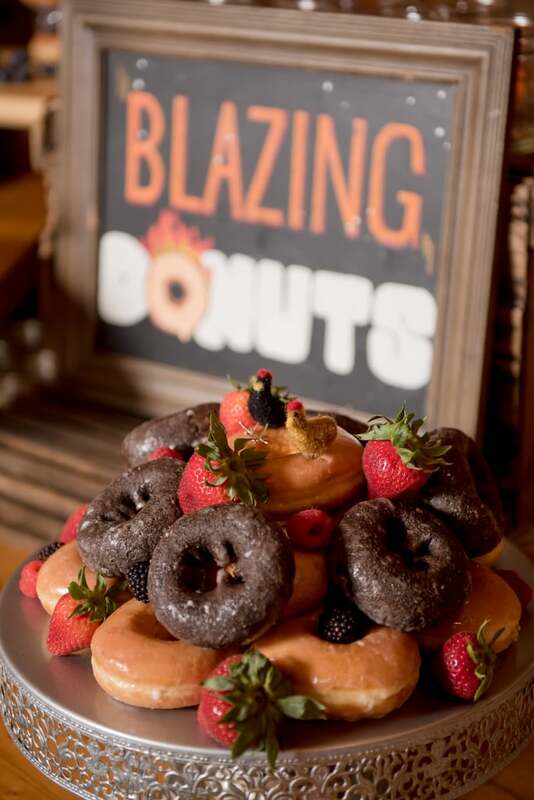 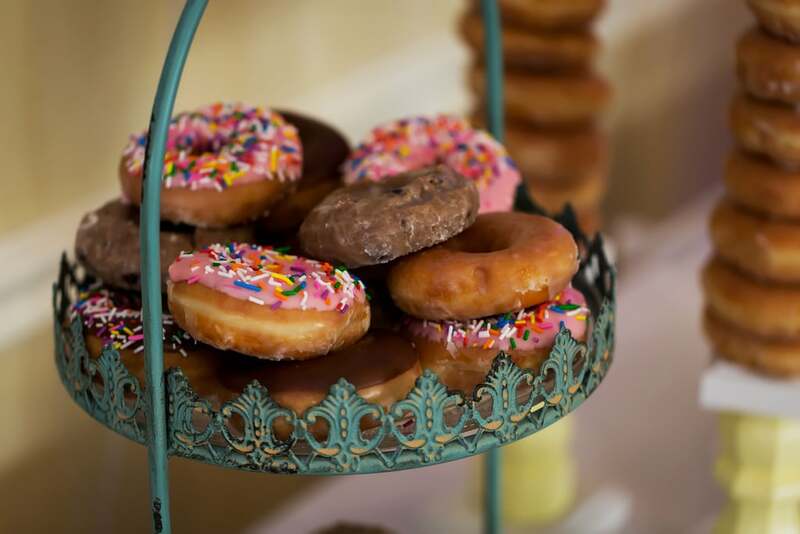 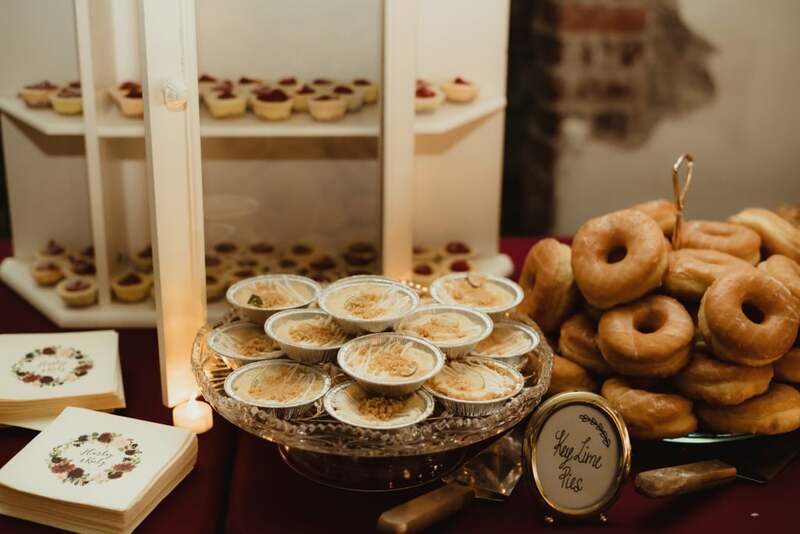 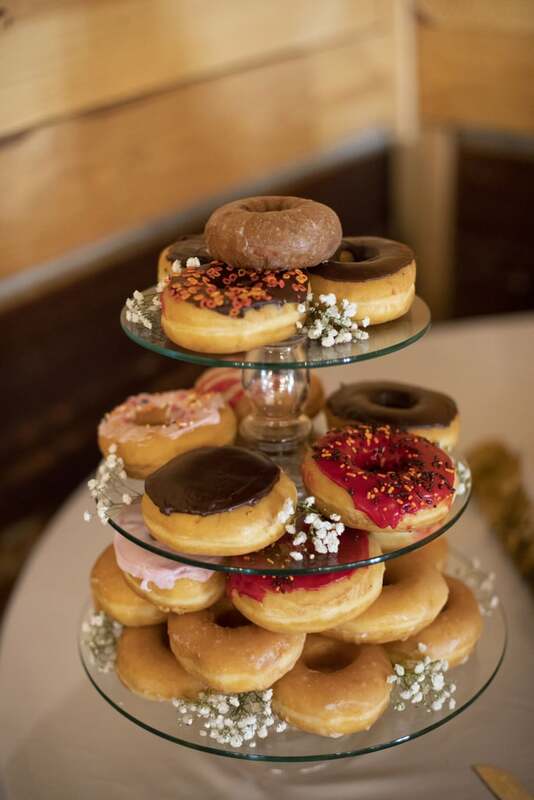 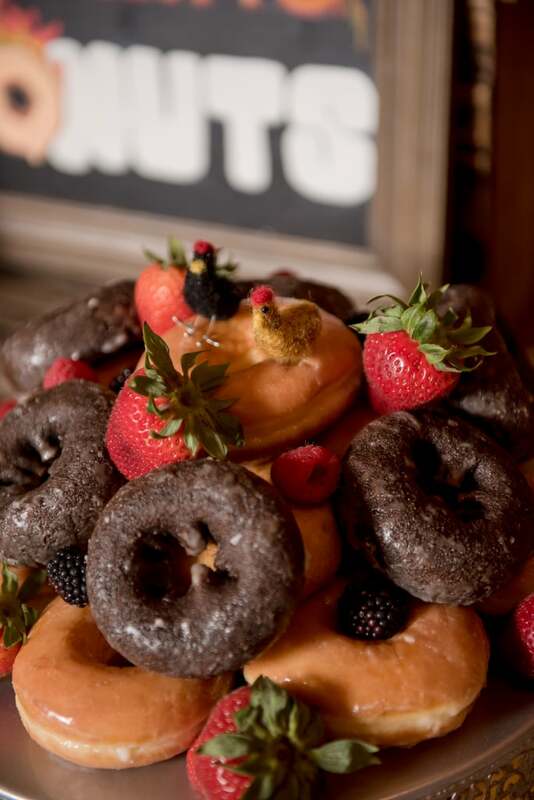 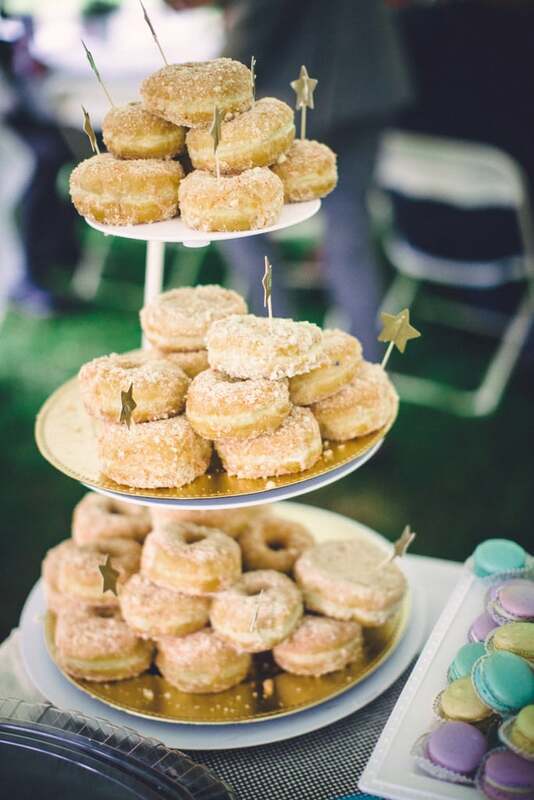 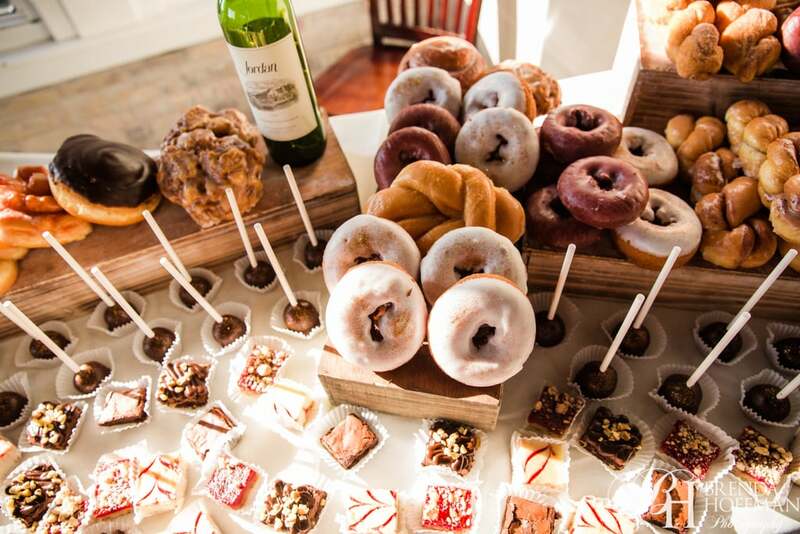 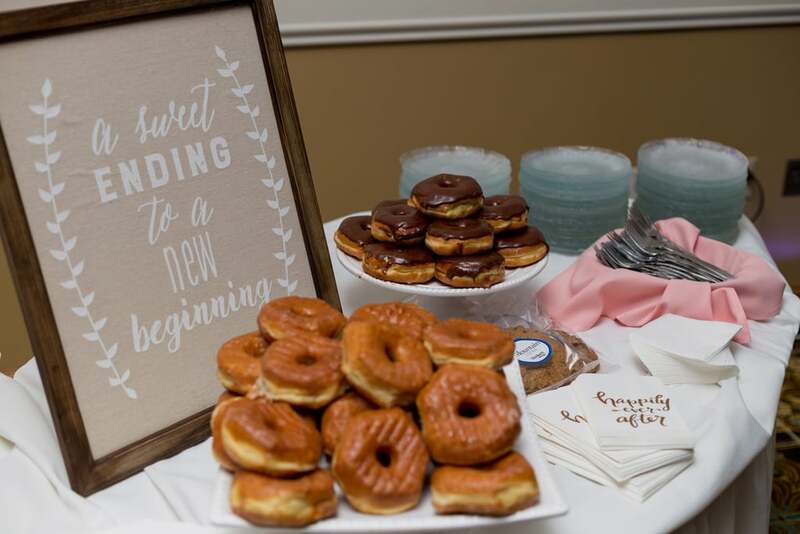 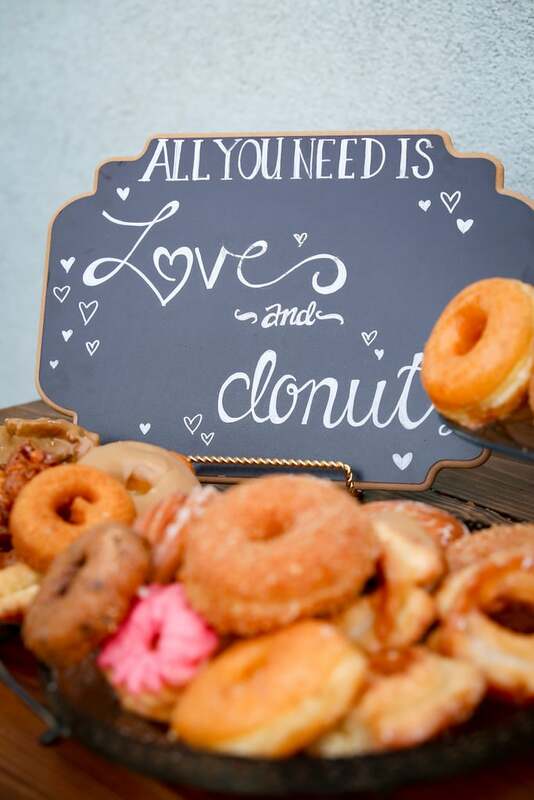 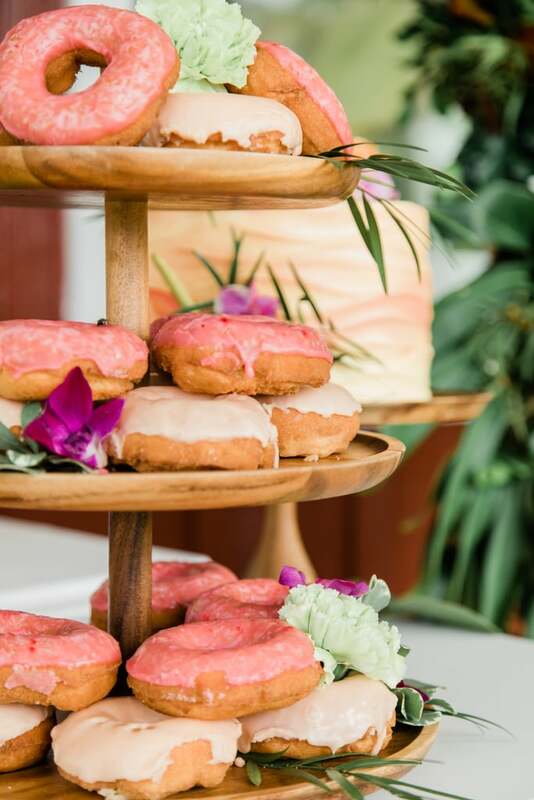 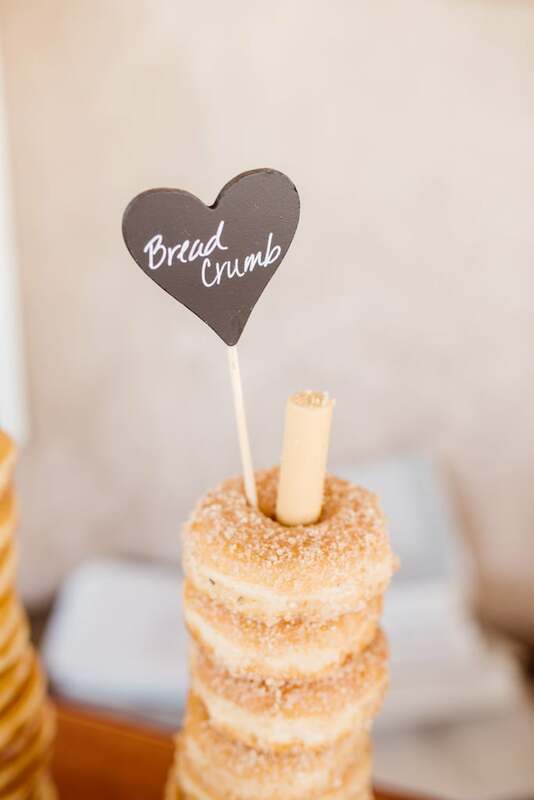 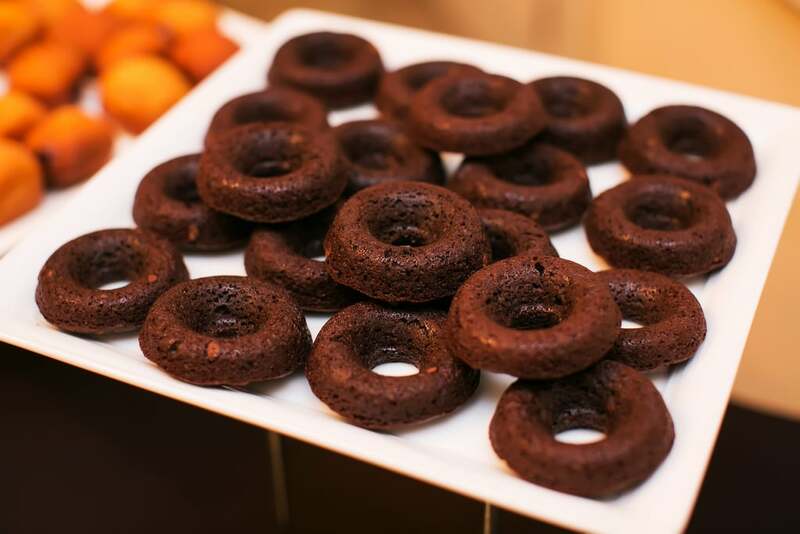 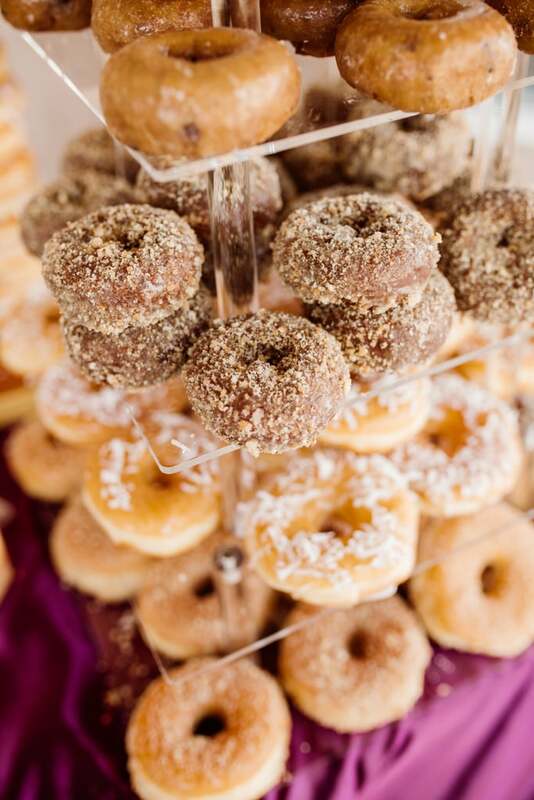 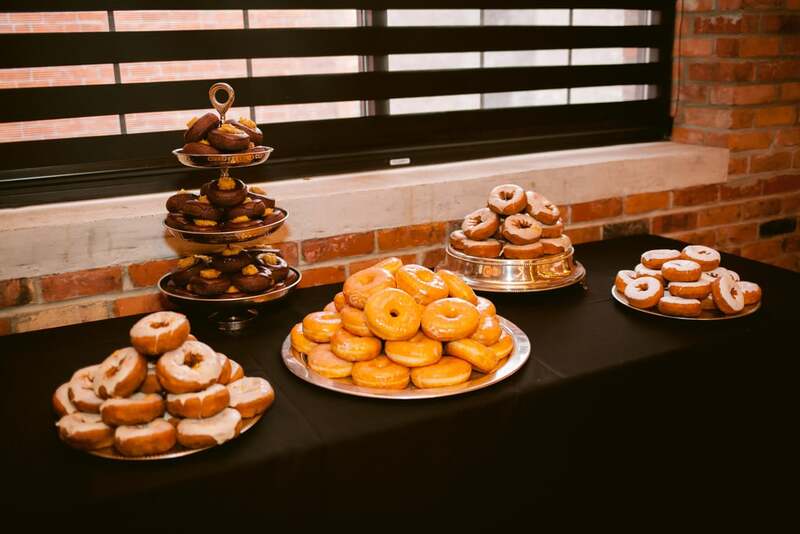 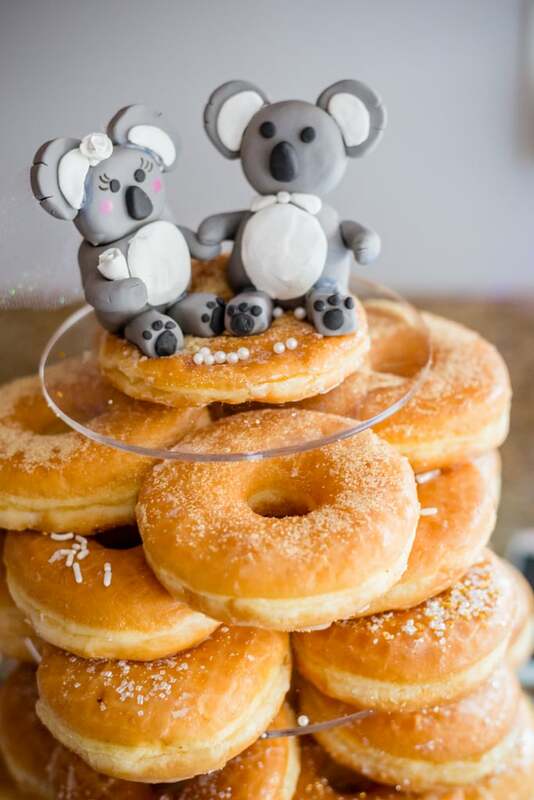 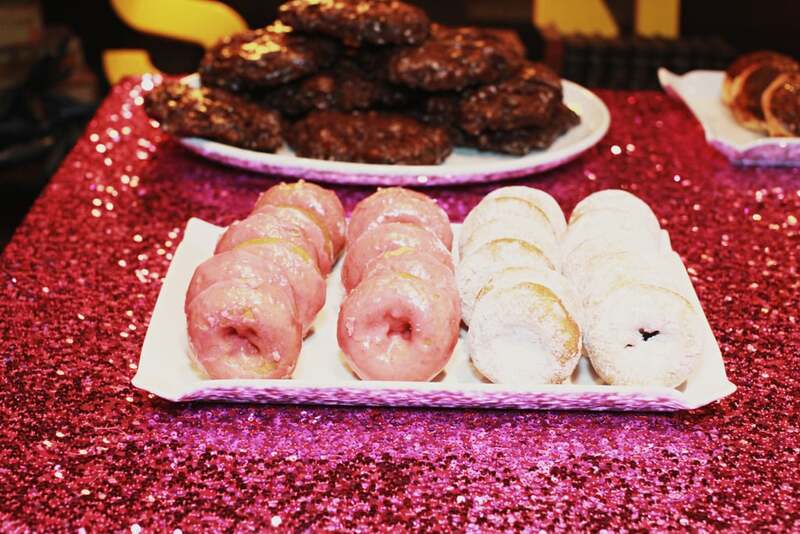 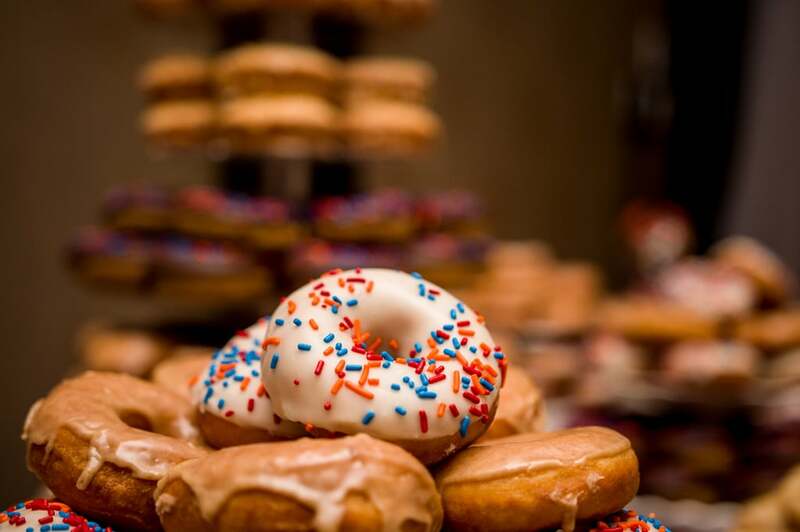 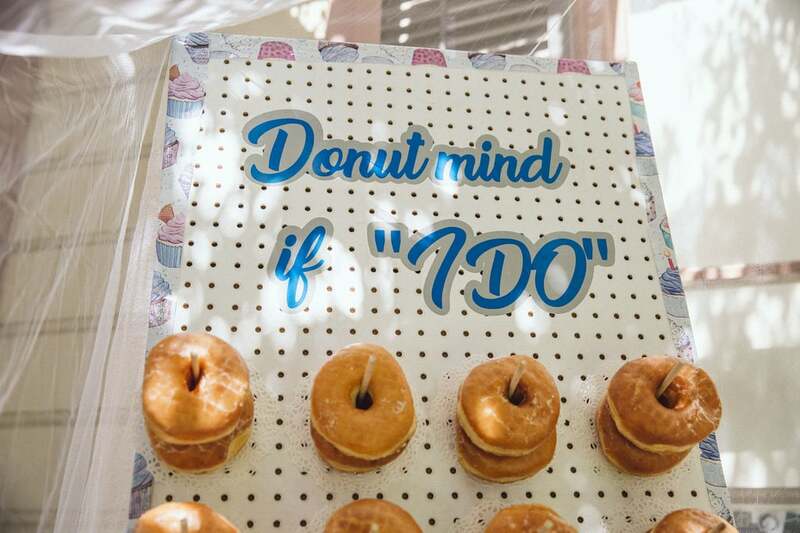 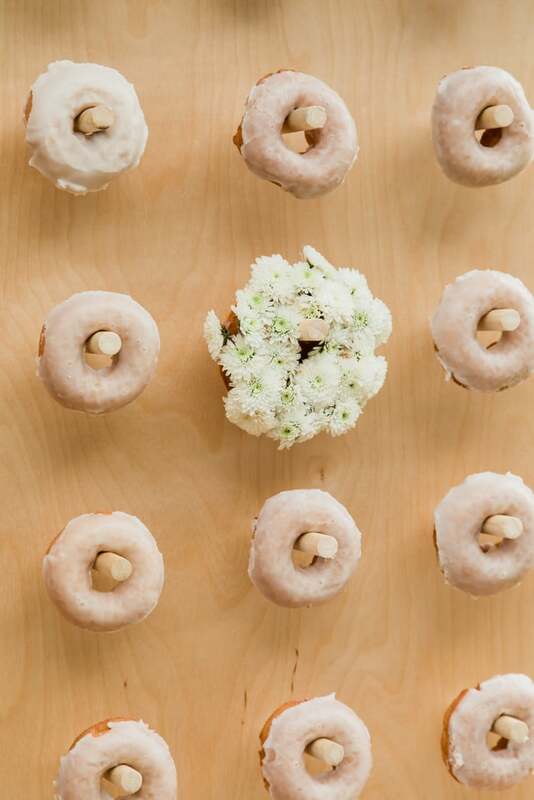 However, this wedding season, doughnuts are taking over the dessert table. 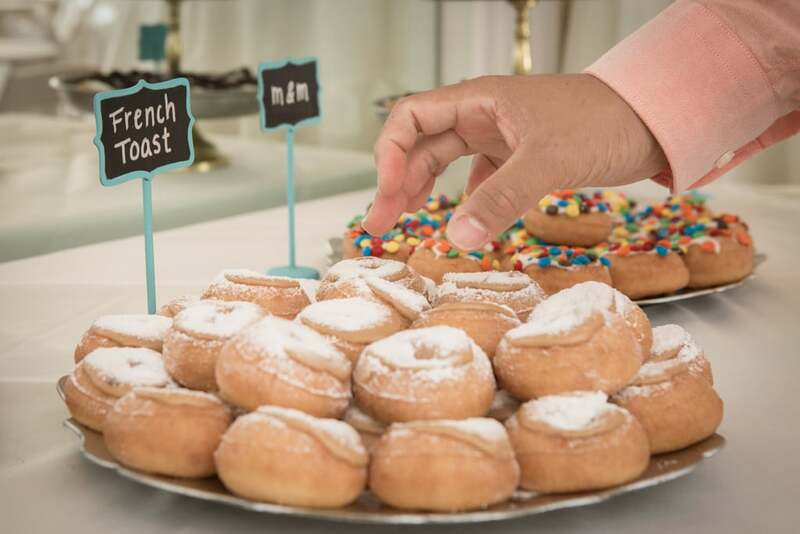 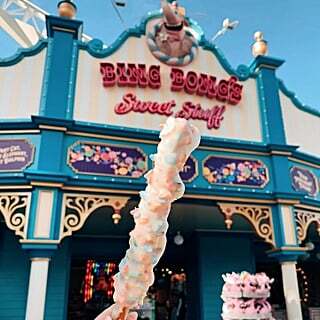 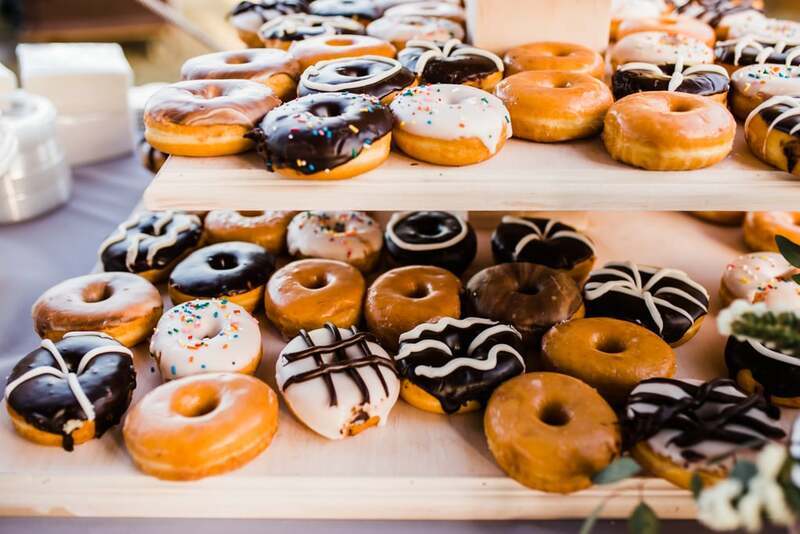 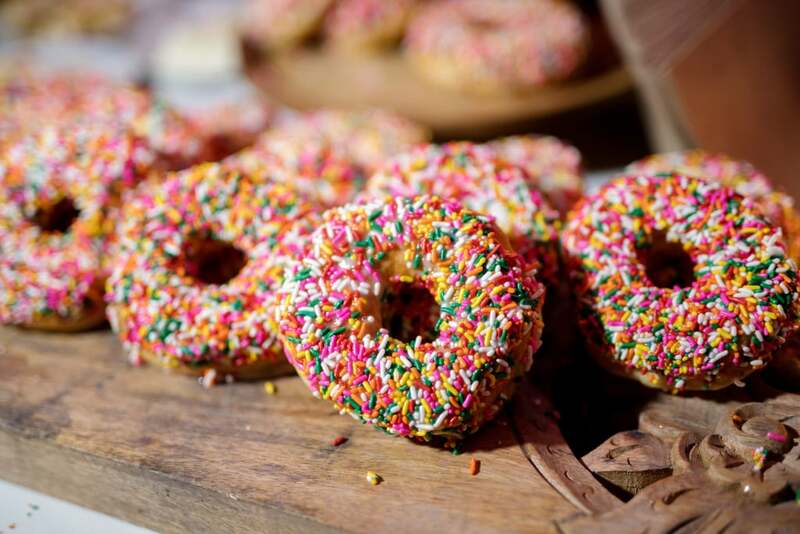 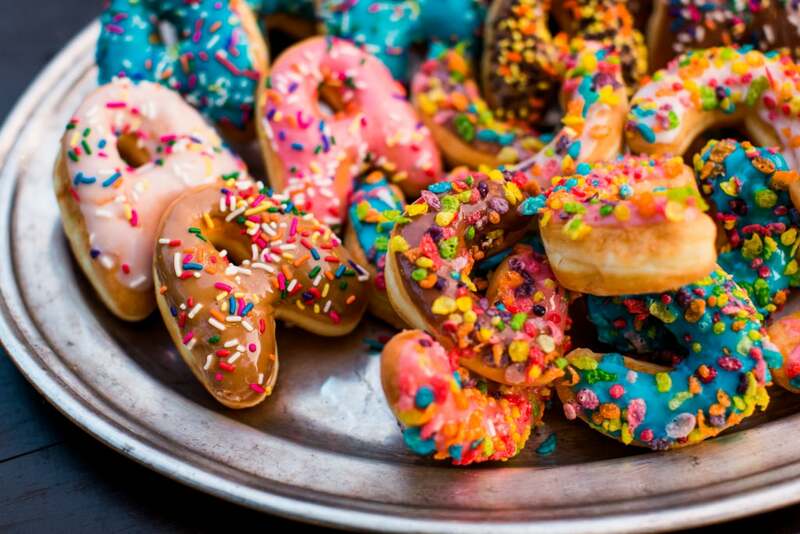 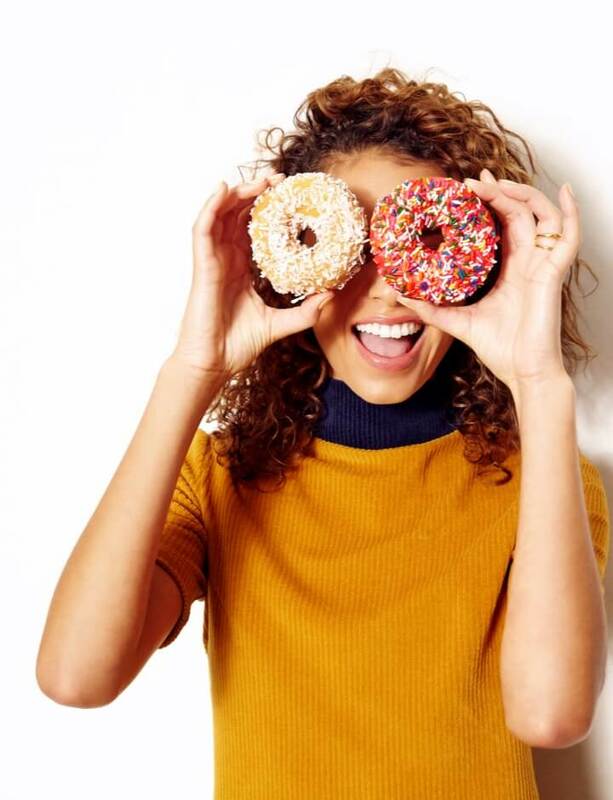 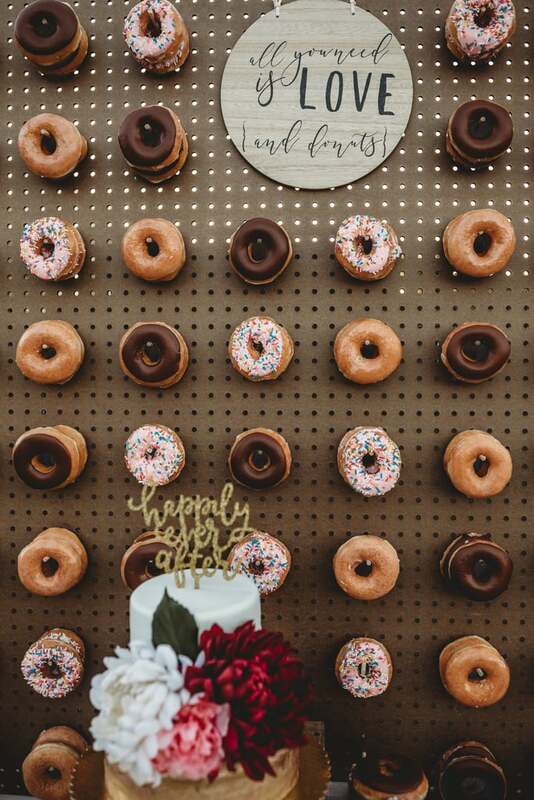 According to Pinterest's annual trend report, searches for "doughnut decor" are up 748 percent in 2019. 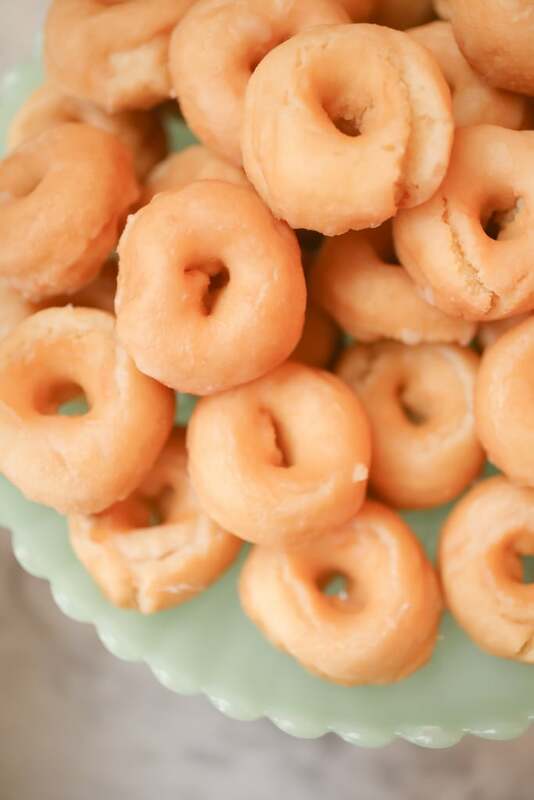 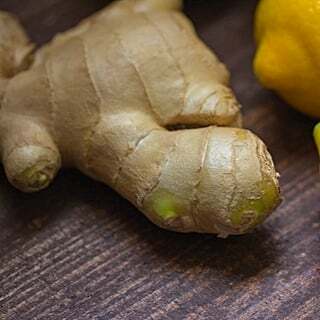 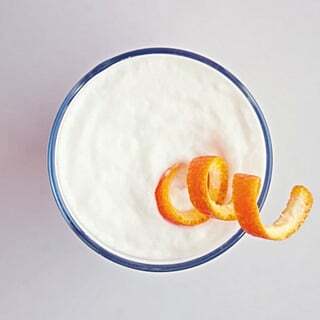 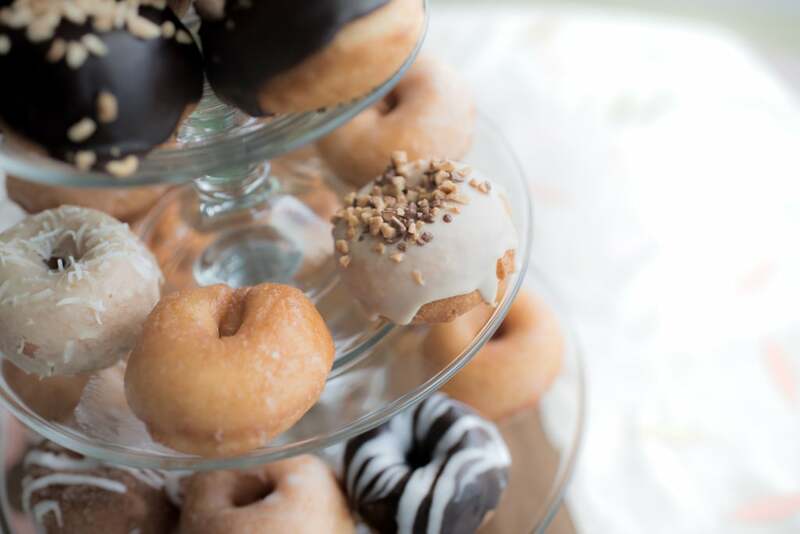 It's no wonder why: these unassuming yet delicious sweet treats are sure to bring a smile to any wedding guest's face. 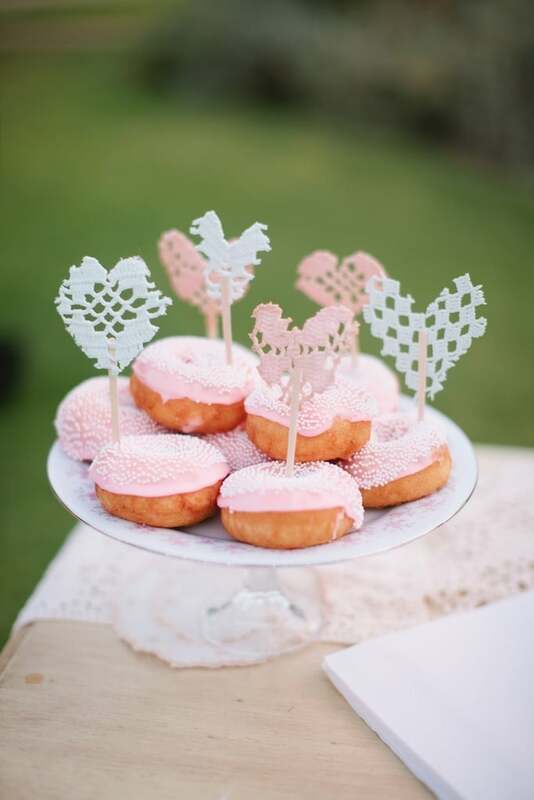 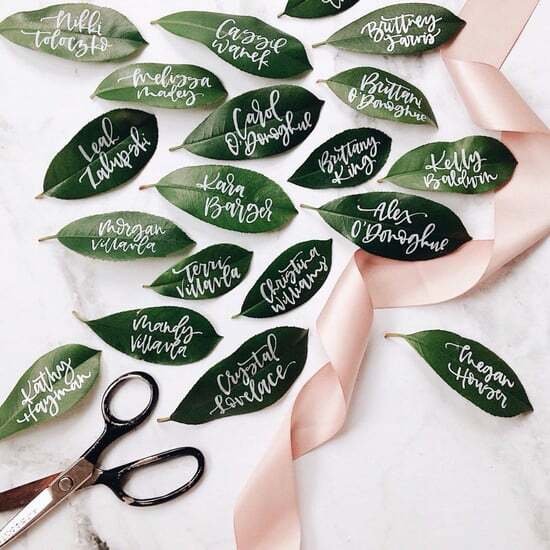 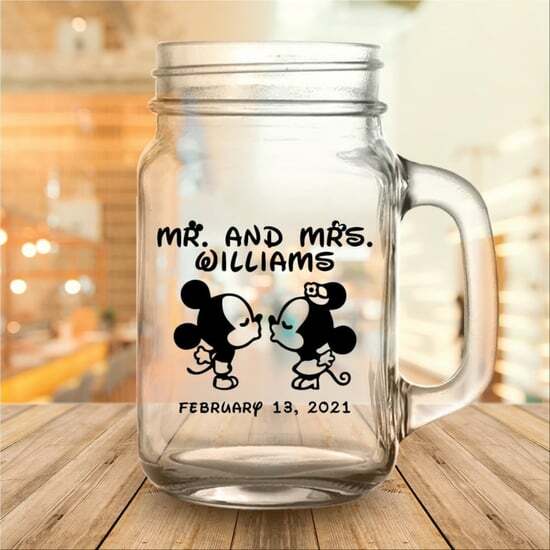 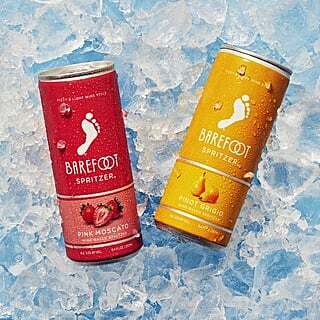 Not to mention they can be gorgeously decorated and displayed to go with any wedding decor. 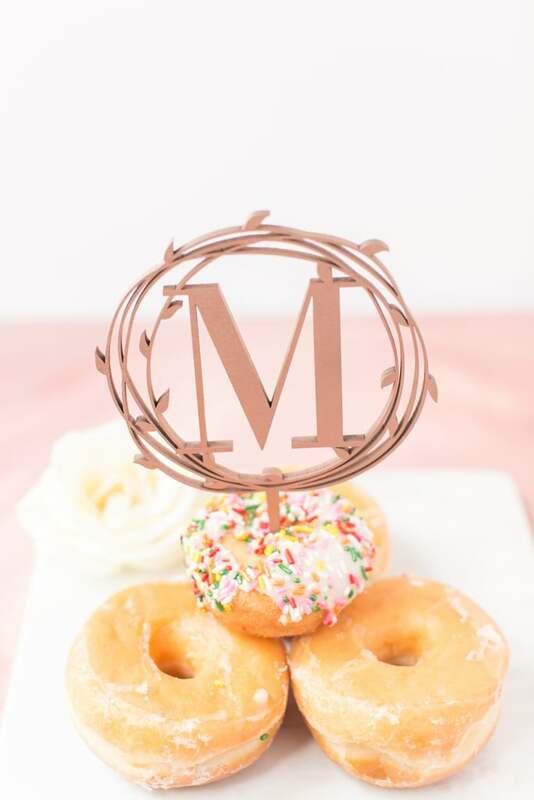 There are so many creative ways to shape a doughnut, too — you can create interesting designs or spell out a name or word. 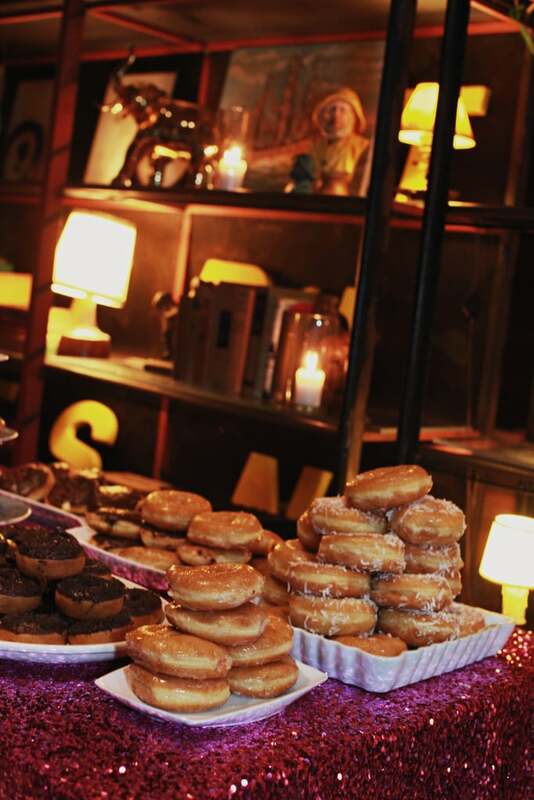 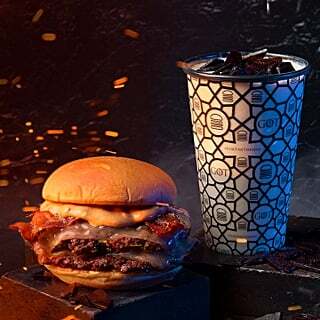 Oh, and did we mention the best part? 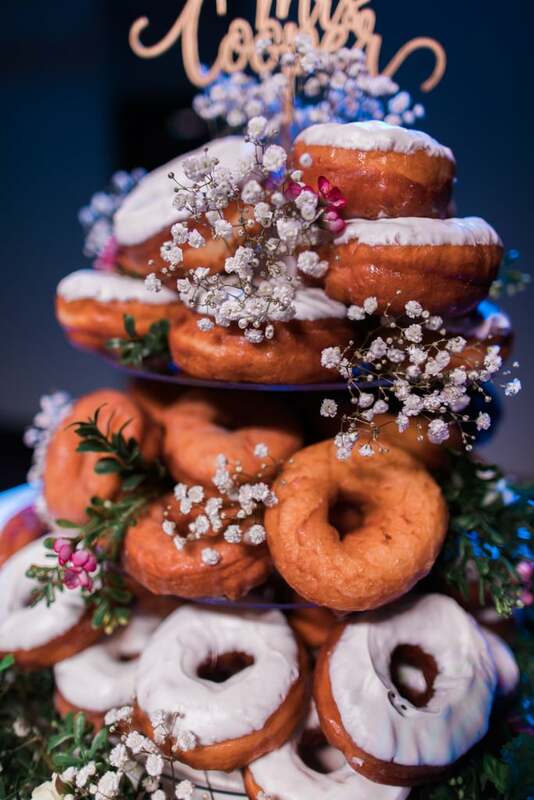 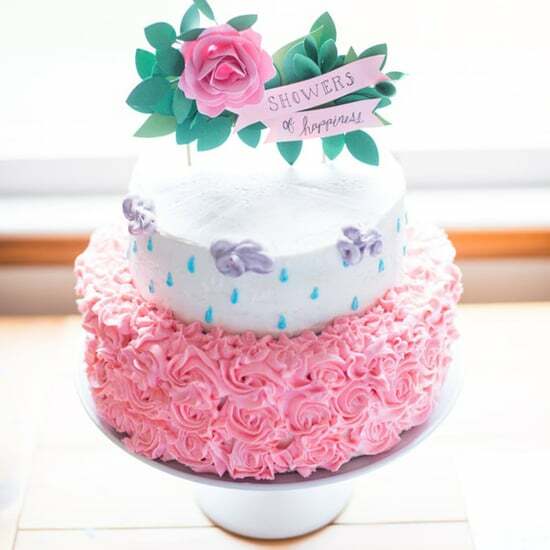 They're crazy-affordable compared to ornate tiered cakes and other traditional (read: overpriced) wedding desserts. 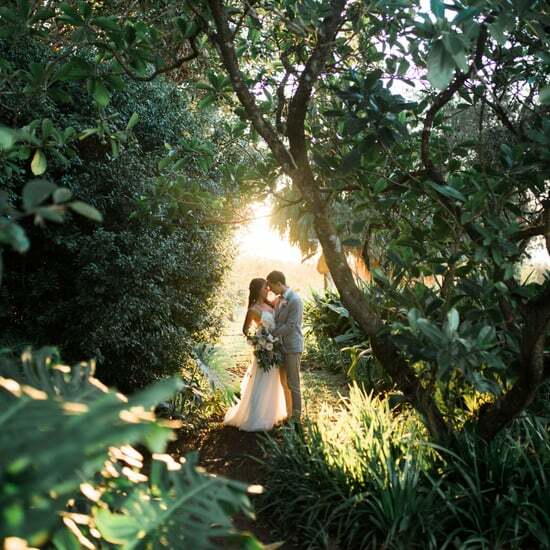 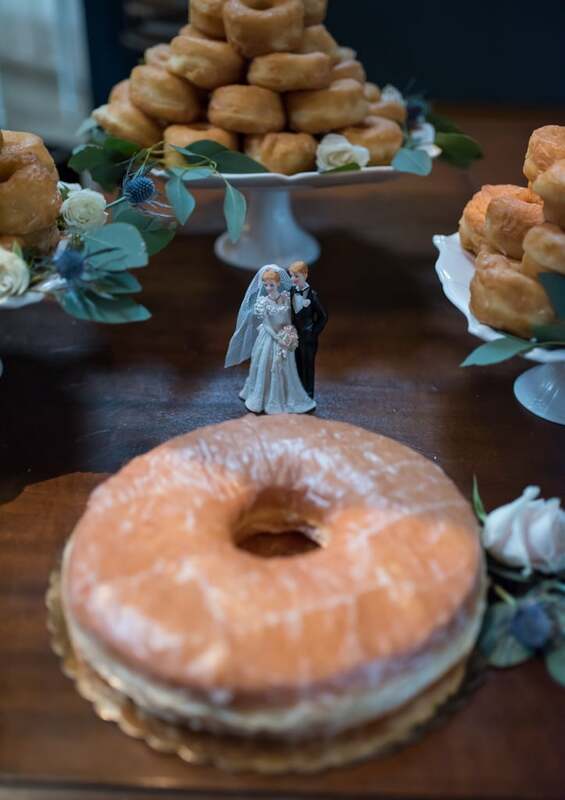 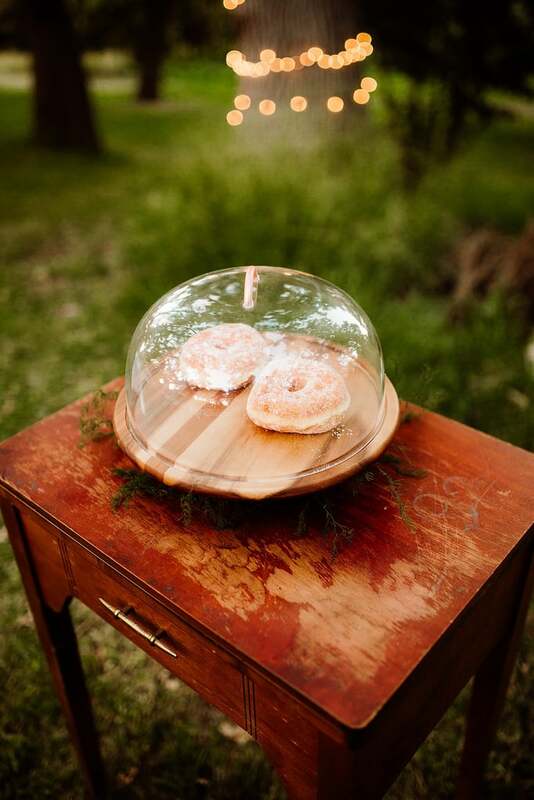 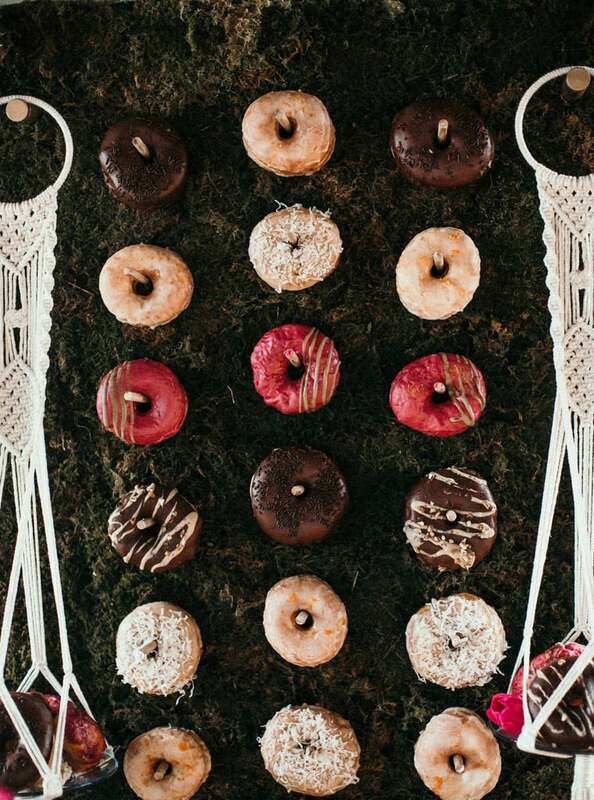 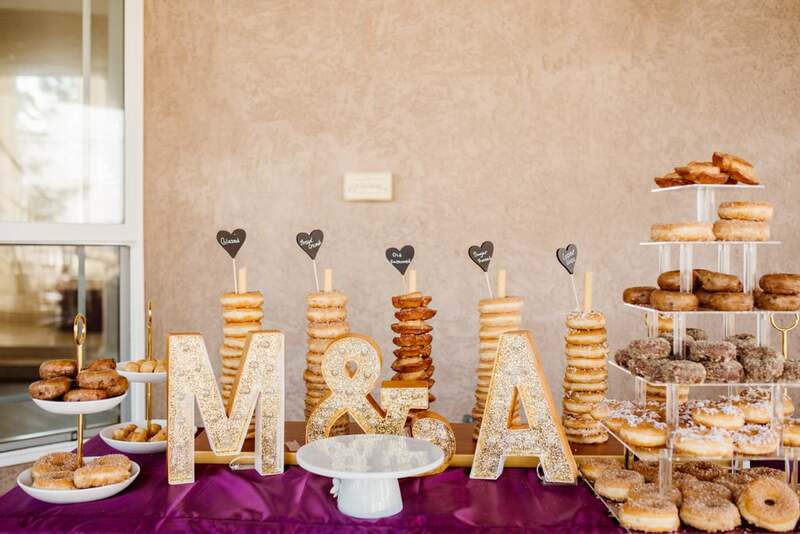 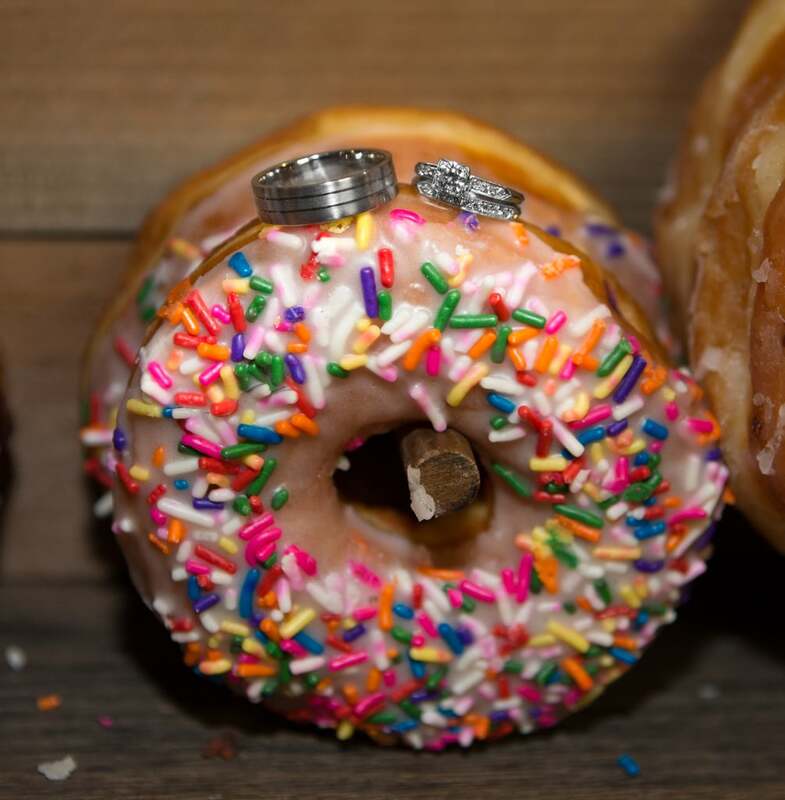 See how couples dress up and display their wedding doughnuts ahead. 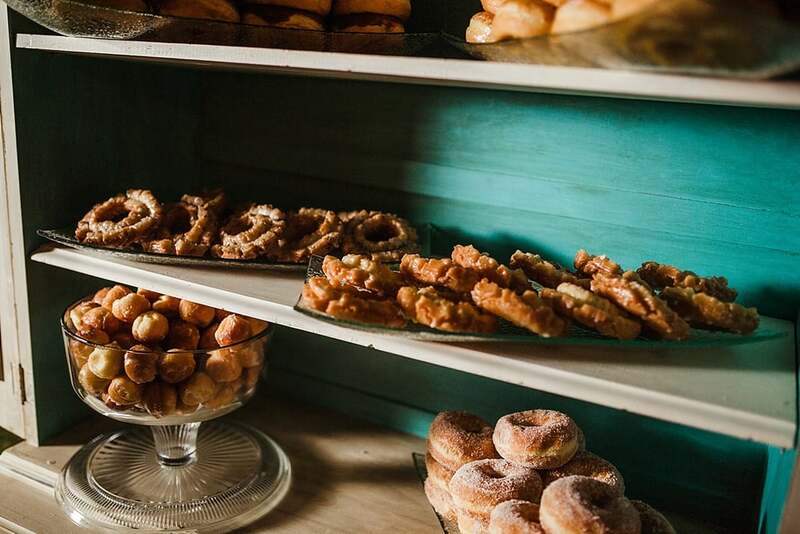 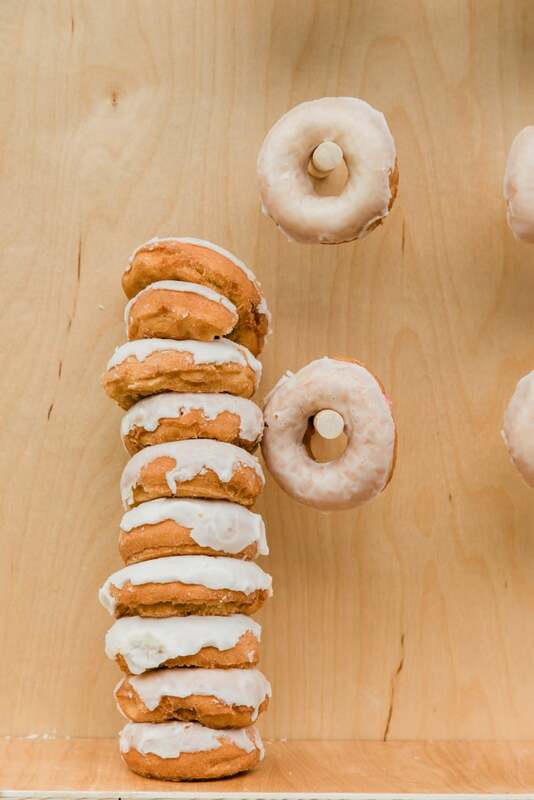 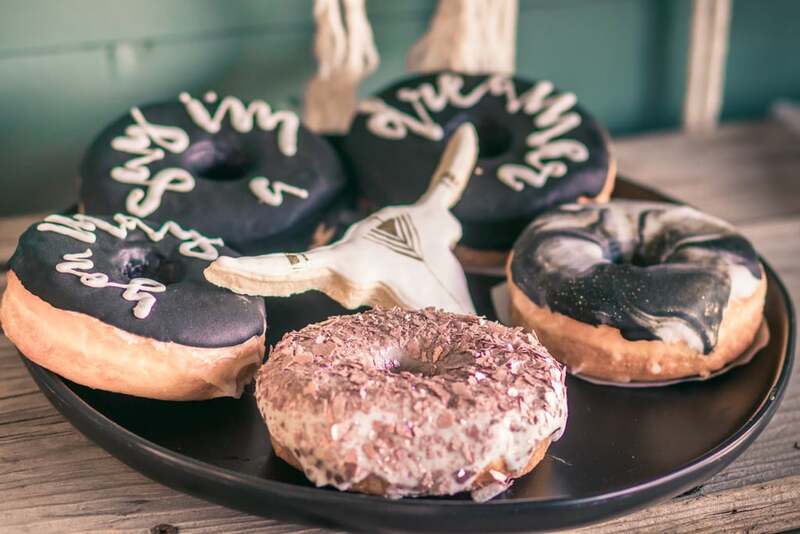 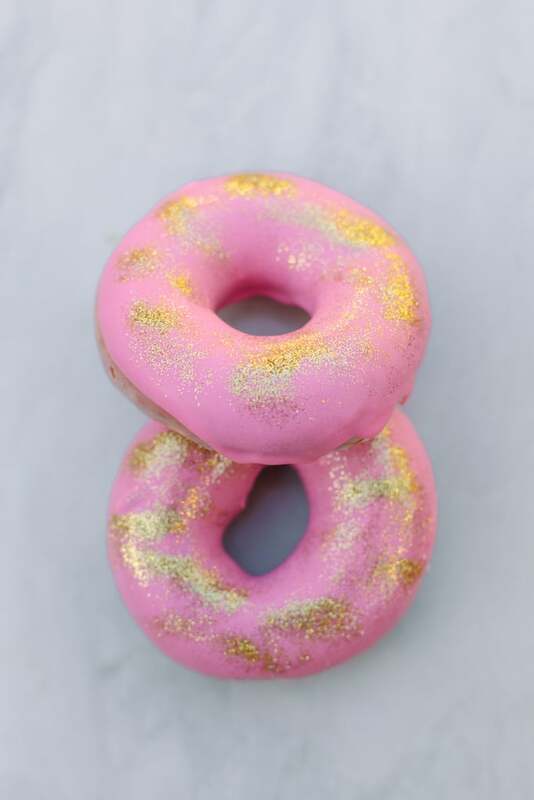 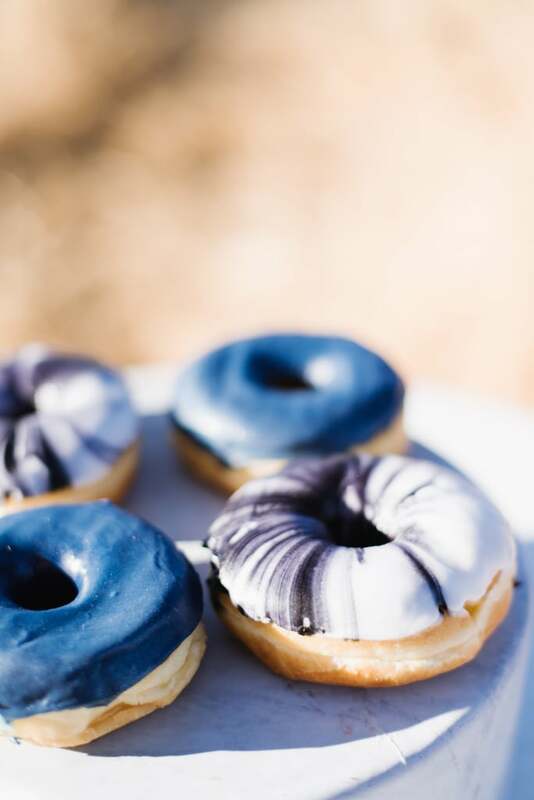 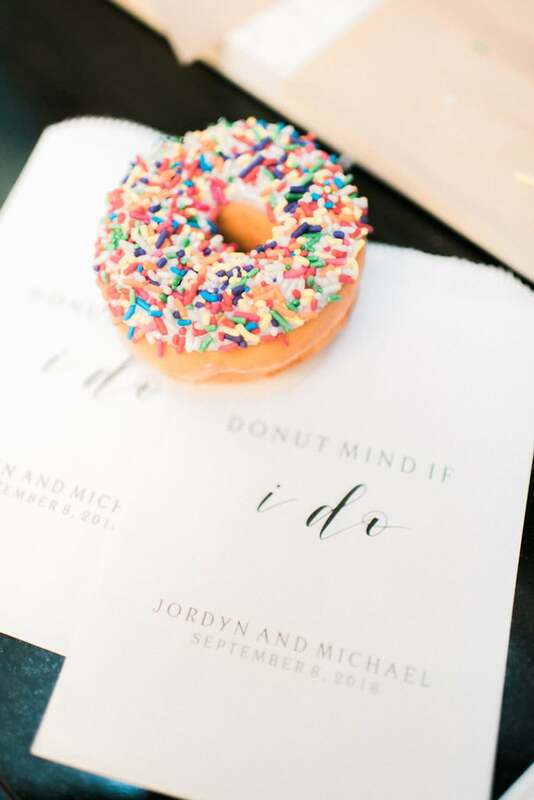 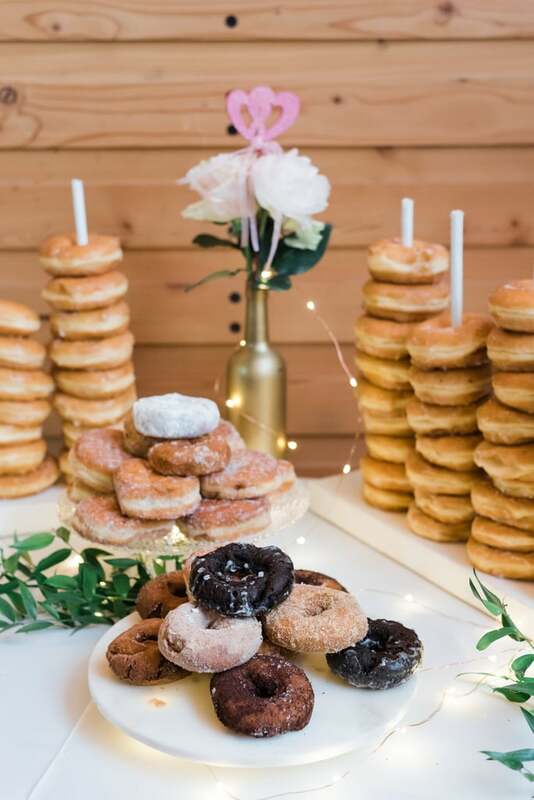 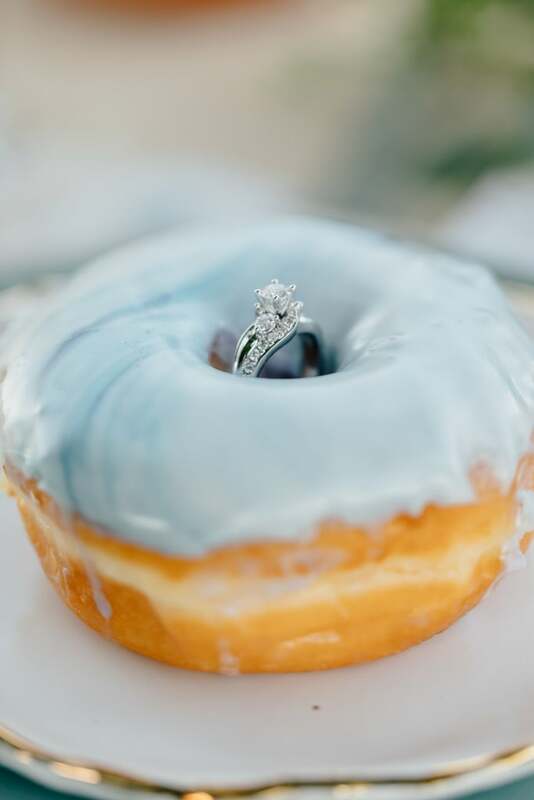 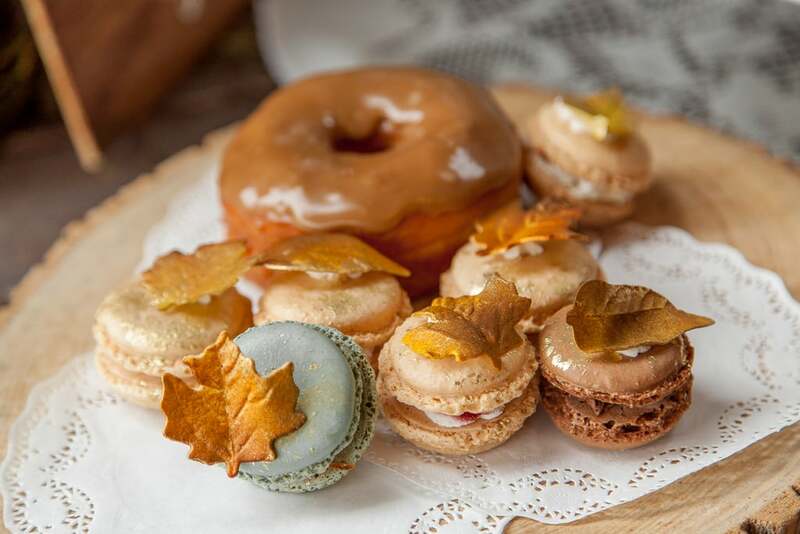 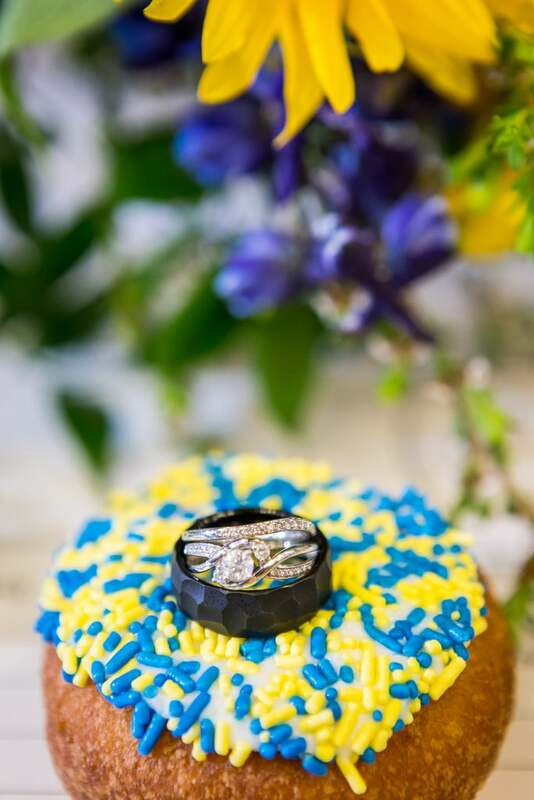 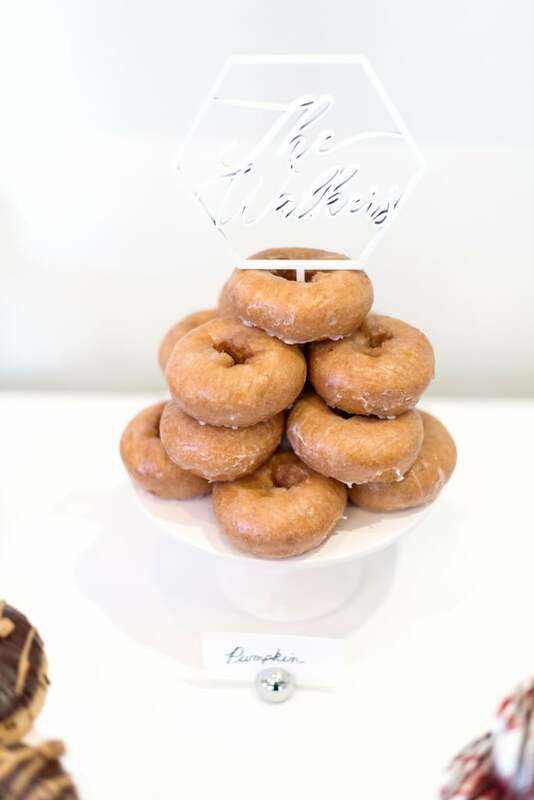 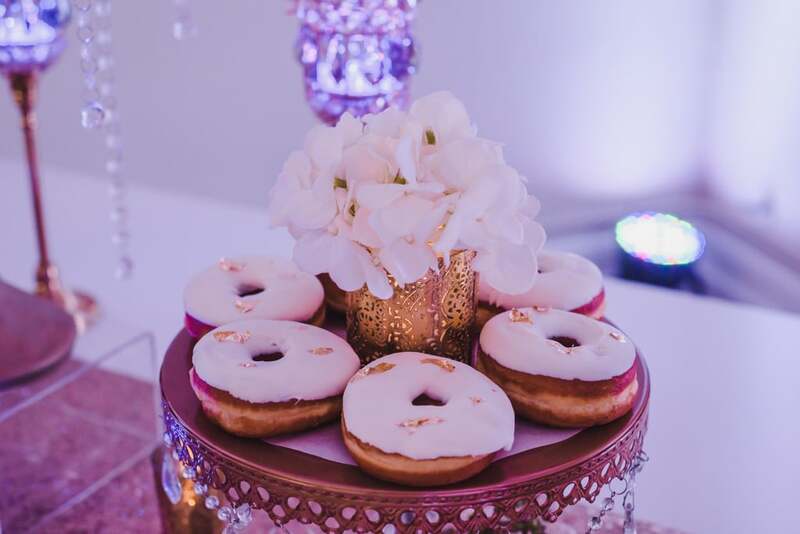 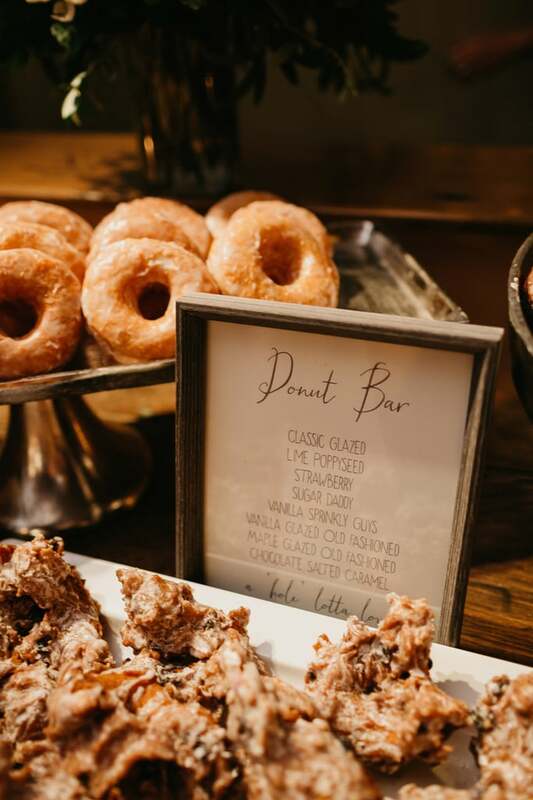 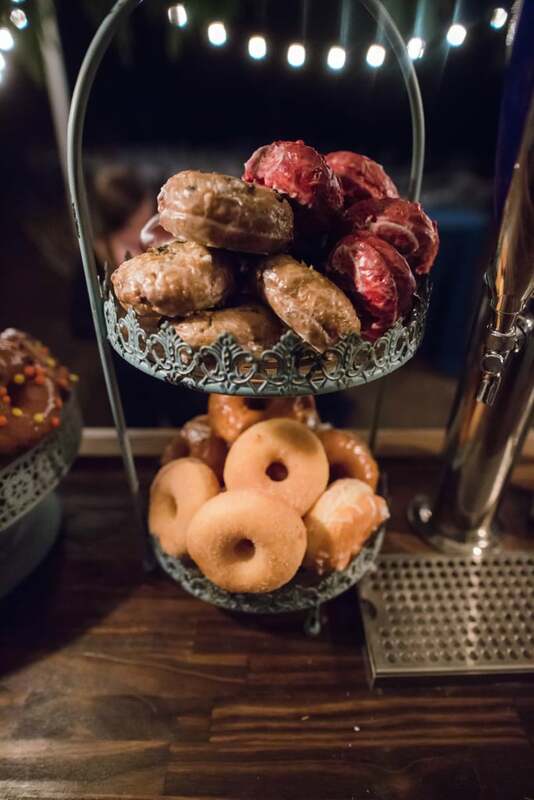 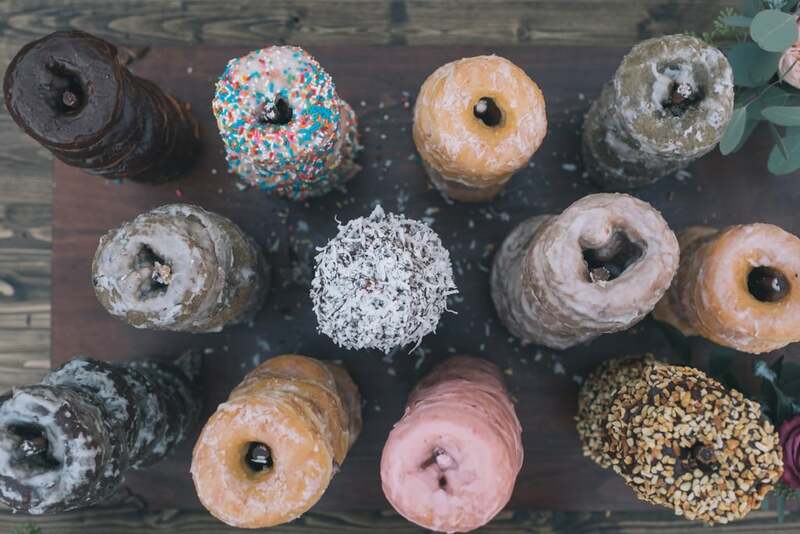 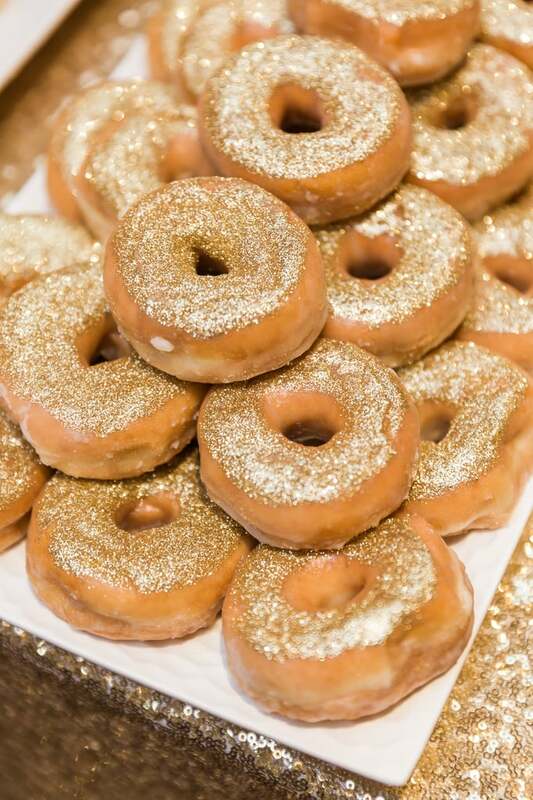 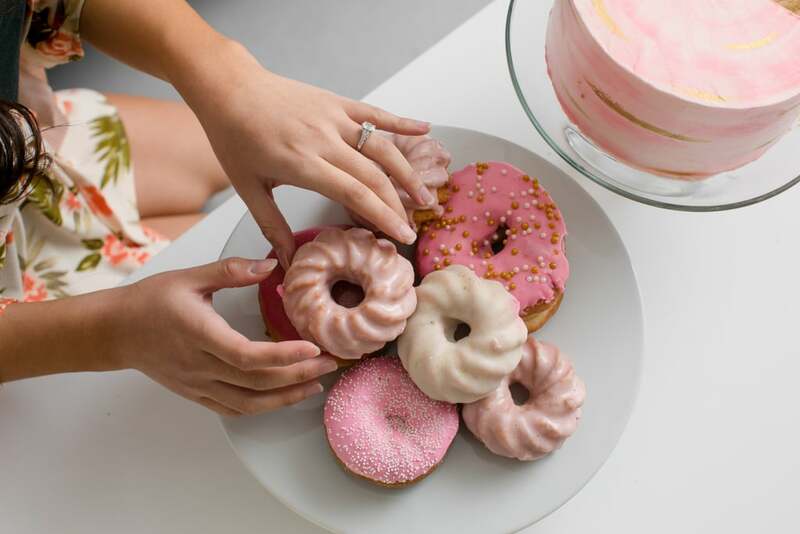 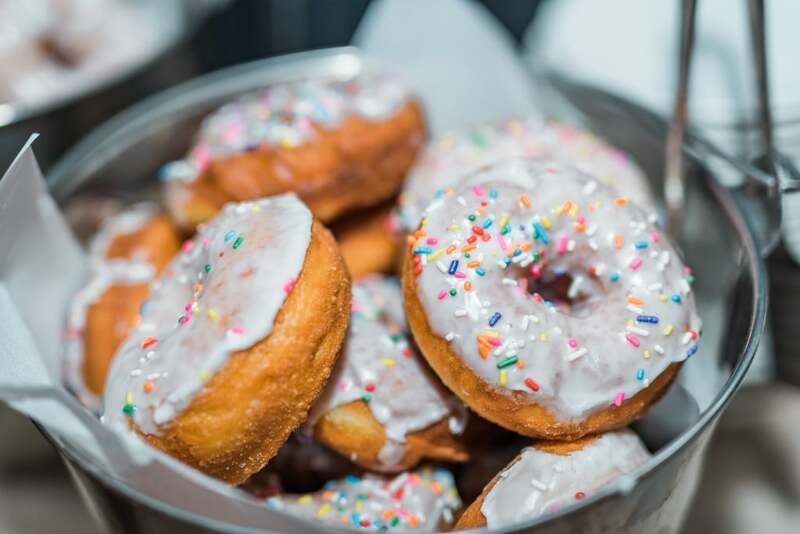 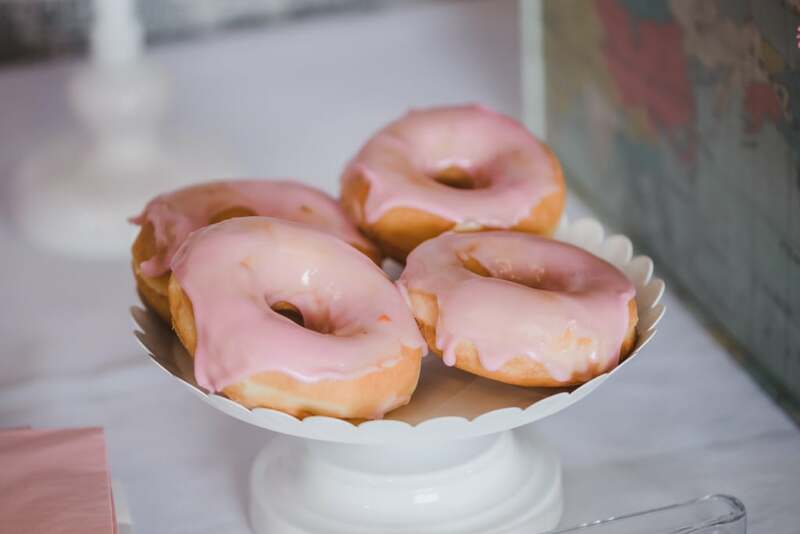 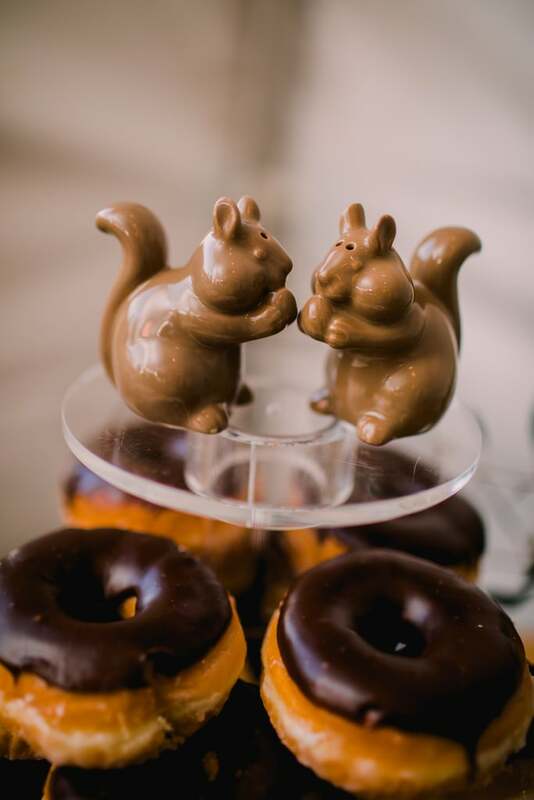 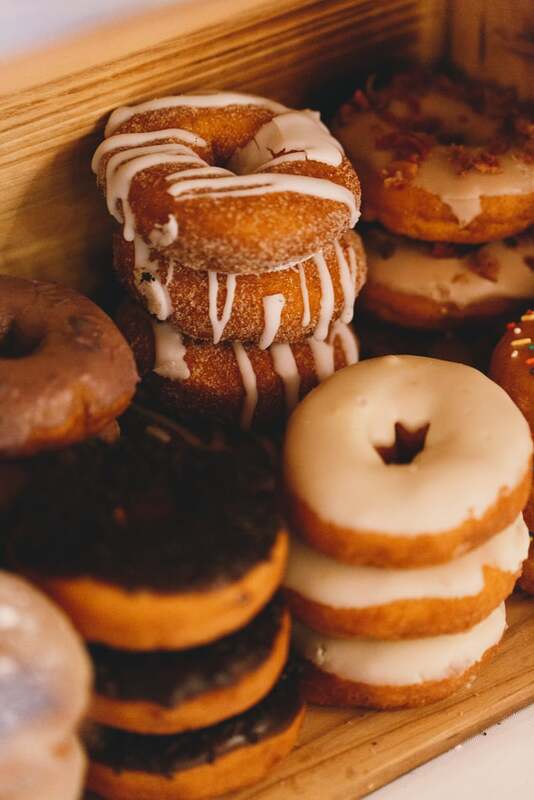 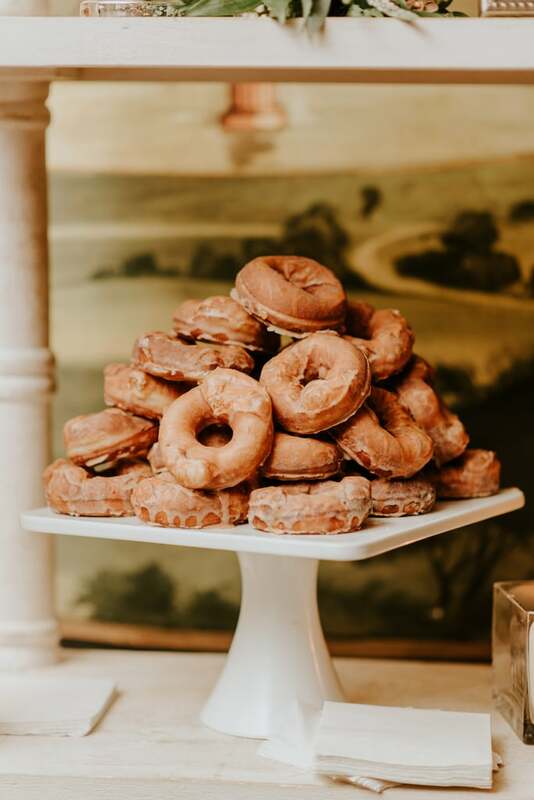 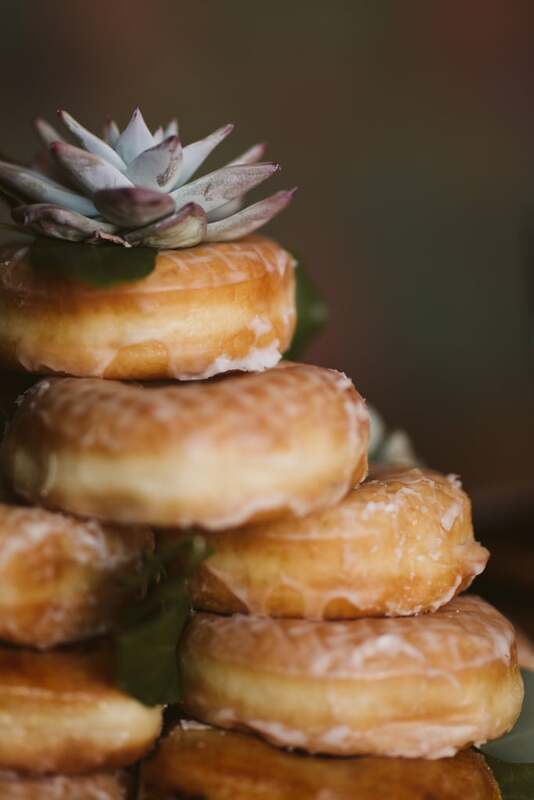 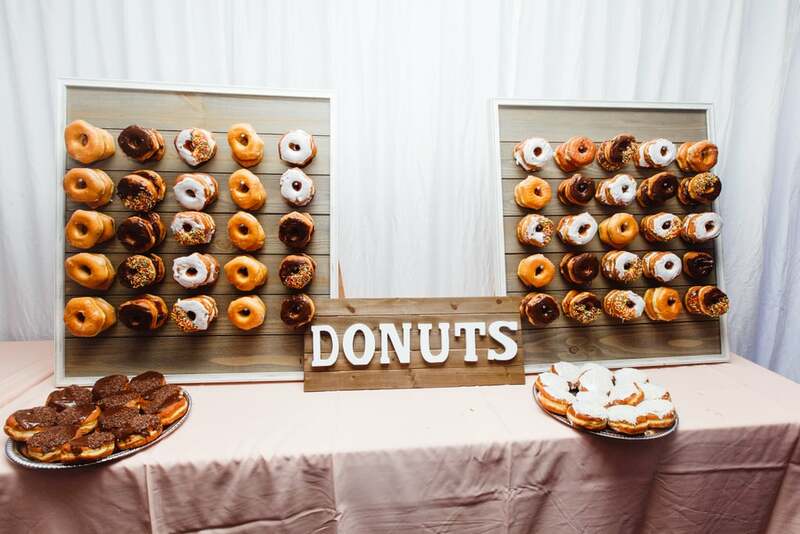 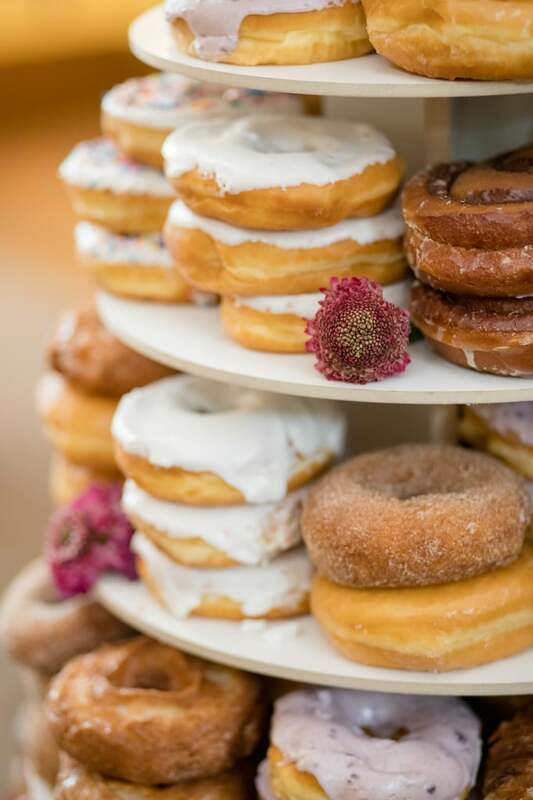 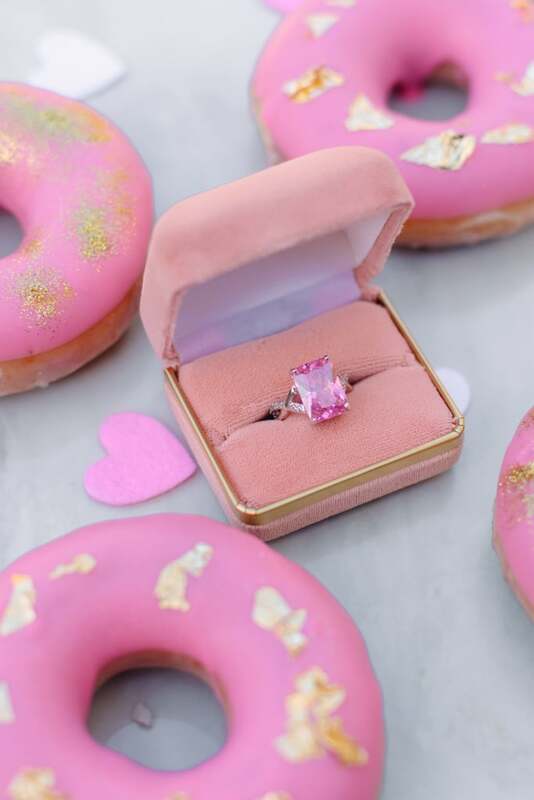 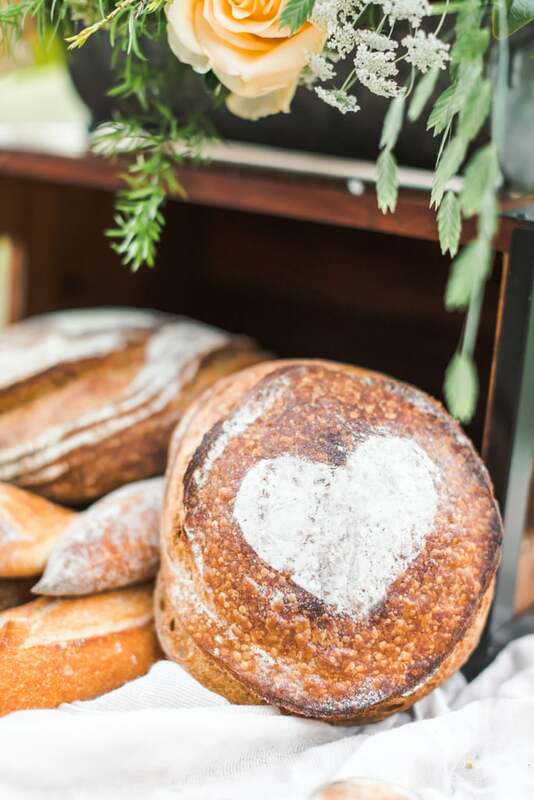 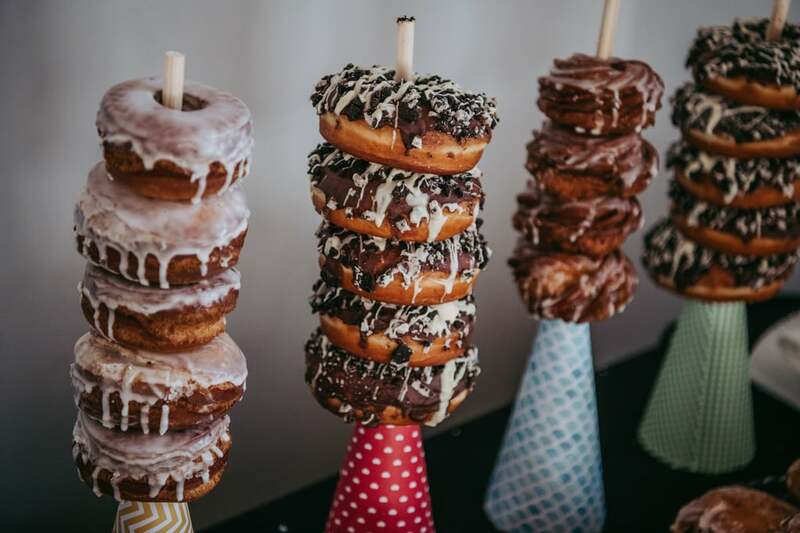 If you want some inspiration on how to incorporate doughnuts into your wedding (or just want to look at aesthetically pleasing food pics), then check out these drool-worthy doughnuts now.